I've been wondering what Chainmail influences could be used in Spelljammer's Greyspace crystal sphere. Chainmail Core Rulebook: Chapter 1 Godwar wrote: Stratis staggered to his feet and erupted toward heaven, spraying his blood and weaponry over the world as his soul blasted upward. His weapons scattered away from his ascent as meteorites, burning through the smoke of the warzone. We know that Stratis's weapons fell back to Oerth, but could some of his blood and other items have made it up into wildspace? Could there be some sort of connection between the Horg and Stratis (or something else in Chainmail's history)? I can't see any sort of way to connect Ahmut's Legion with Greyspace, as Ahmut was a nomad who was killed 300 years ago. Stratis's spear did take 300 years to fall back down to Oerth and pierce Ahmut's body (freeing him from the elven magic that immobilised his undead body). Perhaps that spear could have done something in wildspace over those 300 years. The Red Scythes (a cult of Nerull in the Sundered Empire that is now under the control of Ahmut) might be easier to use in Greyspace. (Or it might be possible to make a similar cult in Greyspace - one that isn't controlled by Ahmut.) The Red Scythes have presumably been operating in the area of Ahmut's Legion for some time (before Ahmut returned). Drazen's Horde is another faction that has no obvious link with Greyspace. But could some of the hobgoblin tribes of Western Oerik have been recruited to fight back in the First Unhuman War? Or could some of them be recruited to fight in the Second Unhuman War? Stratis's axe must also have been floating around in Greyspace for 300 years. Could that have helped an unhuman faction in that time and then been recalled to Western Oerik? There are drow in wildspace, and there is even a drow spelljamming port in Urrq'azzt on Kule in Greyspace. But I don't see any indication that the drow of Kilsek would have a spelljamming port. And what with Kilsek's (loyal to Lolth) elves being painted as traitors and driven out of Erelhei-Cinlu, I'm not sure they would be trading with Urrq'azzt. But would any of the members of house Kilsek have fled to Urrq'azzt instead of Western Oerik? In the Chainmail setting, some of the tunnels that lead into the territory of House Kilsek have been burned open by the fall of the blood of Stratis. Could any of this blood have landed on Kule and burned openings into Kule's Underdark? The People's Republic of Mordengard has existed for just 100 years, so they have sprung up after the death of Stratis. Could those dwarves have had contact with spacefaring dwarves before they overthrew their tyrant king? Would spacefaring dwarves have turned their back on the tyrant? Would Greyspace's spacefaring dwarves that have conventional cultures deal with a radical dwarven republic? How about Mordengard's allies? Would Ancestral Guardians be used by other dwarves in Greyspace? Would they have fire elementals and ice paraelementals, thoqqua, stone spikes or stonechildren on their side? Or is this something that is supposed to be unique to Mordenguard? Naresh have a strong association with the Demon War and there are both gnolls and creatures from the Abyss in the faction. What with the half-demon/half-gnoll Priest-King of Narash - Jergir - being obsessed with invading the elven cities of Ravilla and opening up the portals to the Abyss, I doubt that he would have any desire to deal with gnolls or other creatures from wildspace. But I wonder if the demons that fought in the Demon War would have attempted to open up similar portals in any of the other worlds of Greyspace. The grey-elves of Ravilla once lived in mountaintop cities, but abandoned those cities a thousand years ago to build new ones around the sealed portals they took control of during the Demon War. They think they know best for the region and used to have a mighty Dragon Empire that attempted to take control of the entire region. Now that empire is sundered, but did it ever have any dealings with the spacefaring elves of Greyspace? And did any of those former mountain cities have spelljamming ports? The wood elves have something called Starstrike Archers. (They sound like they should probably translate to some sort of Prestige Class, but I can't find any fluff to go with the Chainmail crunch.) Are Starstrike Archers anything to do with wildspace? Would Corellon Larethian have lent dragons to elves on other worlds within Greyspace? Or should that be something exclusive to Western Oerik? The Dragon Empire (the Sundered Empire) was formed a thousand years ago, used to be run by a "Grand Council of Oligarchs who maintained the Empty Throne for Corellon Larethian". Could a thousand years be a long enough in the past to give us an Imperial Elven Navy that sprang from Dragon Empire expansion into Greyspace? Thalos is an island nation formed to unify the human tribes that were under attack by the (now sundered) Dragon Empire. They fought and won the "Battle of the Bloody Tide" against the elven navy. They must have good shipbuilding facilities. That would make Thalos into a place where spelljamming ships capable of landing in the sea would want to come in for repairs. Thalos is also backed up by gnome engineers who build automations. They don't sound exactly the same as tinker gnomes, but they might be able to build things and sell them onto tinker gnomes. Could there be worshippers of Alia the Shield Mother in The Grinder? There are also mercenaries and the Free States lending support to various factions in the Godwar. They are unlikely to have an organised presence in Greyspace. But it could be possible to have individual NPCs that have background history linking them to these regions. I can imagine individual Warbands making their way up to wildspace (especially if they are mercenary Warbands) and deciding to stay up there. What do you think? Does anyone know of some good hooks to make some of these possible links work? Does anyone know of any canon that gets in the way of linking Chainmail to Greyspace? What do we need to do to work around any problems? Big Mac wrote: Stratis's spear did take 300 years to fall back down to Oerth and pierce Ahmut's body (freeing him from the elven magic that immobilised his undead body). Perhaps that spear could have done something in wildspace over those 300 years. If I recall correctly, Stratis was killed and his weapons and armor scattered just five years ago. Chris Pramas wrote: Five years ago a company of mortal heroes banded together to kill Stratis, the God of War. They believed that by killing Stratis they could win peace for their peoples. They were tragically mistaken. Though the heroes slew the god, Stratis defied his killers in death. As he ascended to the heavens in a pillar of fire, he scattered his panoply across the world. To answer your other questions, I don't see any reason that Stratis's blood and artifacts (and other Sundered Empire setting elements) couldn't have ended up elsewhere in Greyspace if you wanted them to (even if they initially all landed on Oerth, they could have been brought subsequently to other worlds and planes), but Stratis's death would have happened five years ago (probably in 586 CY, five years from 591 CY). At the time most published Spelljammer books are set, Stratis is still alive and might be worshiped on Ginsel, the Grinder and other regions in the sphere. I could see Ginsel's society falling into chaos as a result of Stratis's death. Really? Ack! Just when I thought I was getting to grip with Chainmail. Maybe I should sit down with Paul's timeline and start inserting the dates of Chainmail events. ripvanwormer wrote: To answer your other questions, I don't see any reason that Stratis's blood and artifacts (and other Sundered Empire setting elements) couldn't have ended up elsewhere in Greyspace if you wanted them to (even if they initially all landed on Oerth, they could have been brought subsequently to other worlds and planes), but Stratis's death would have happened five years ago (probably in 586 CY, five years from 591 CY). At the time most published Spelljammer books are set, Stratis is still alive and might be worshiped on Ginsel, the Grinder and other regions in the sphere. I could see Ginsel's society falling into chaos as a result of Stratis's death. I suppose we could give Stratis a few more weapons and have those weapons go into a higher orbit (and eventually land on Oerth's moons or on individual astroids in The Grinder. But I'm not sure how believable it would be to start inventing "Stratis's Knuckle Duster" or "Stratis's Pen-knife". Perhaps some sort of other non-weapon items could drift off into wildspace. We could perhaps start with things like: a Ring of Force Shield, an Amulet of Natural Armor, Bracers of Armor and then bump them up to Artifact Level. But you telling me that SJR6 Greyspace is set before the death of Stratis has made me wonder what would be happening in the region, while he was still alive. I need to think on this some more. There has to be some potentially useful implications in that. Maybe even a Greyspace plotline involving killing Stratis...or stopping him from being killed. Big Mac wrote: Maybe I should sit down with Paul's timeline and start inserting the dates of Chainmail events. 4053 (-410 CY) (1) The Demon War ends in Western Oerik. 4552 (90 CY) (499) The Abyssal gateway in the city of Xanos opens and demons flood out again. The Grand Council of Ravilla tasks a group of wizards with finding out why. 4558 (96 CY) (505) The wizards report their findings: it was the fault of sorcerers. Sorcery is banned and sorcerers are hunted for the next five years. 4566 (108 CY) (513) The mage hunter Trigorian is elected to the Grand Council and agitates for a renewed war against sorcery. 4568 (110 CY) (515) The council triples the size of the Ravillan army. Hostilities against sorcerers recommence. Over the next 20 years, the elves conquer all of Western Oerik north of the Blasted Desert with the exception of the dwarven kingdom and the island of Thalos. 4578 (120 CY) (525) Ravilla officially becomes an empire. 4584 (126 CY) (531) Human tribes led by Almira Strongbow flee the elven armies to the coast and begin their conquest of the island of Thalos six months later. 4588 (130 CY) (535) The island of Thalos is under human control. 4594 (136 CY) (541) The war between humans and Thalos's native kobolds is over. 4603 (145 CY) (550) Ravilla invades Thalos, but is rebuffed by Queen Almira and the aasimar Furiel. 4605 (147 CY) (552) The Elven Peace begins. 4628 (170 CY) (575) Queen Almira dies peacefully in her sleep, succeeded by her daughter. 4749 (293 CY) (698) The Elven Peace ends. 4750 (294 CY) (699) Ahmut leads an army of Baklien horsemen into the Empire of Ravilla. The god Stratis is seen among them. The war between Ravilla and the Baklien lasts three years. 4753 (297 CY) (702) Ahmut is assassinated by Prisca. While Ahmut's lieutenants quarrel among themselves, Ravilla drives the Baklien horde back to the south. 5012 (550 CY) (959) A powerful demon fathers a son with a gnoll woman. The half-fiendish cub is called Jangir. 5042 (580 CY) (989) The Second Unhuman War begins in Realmspace. 5043 (581 CY) (990) A dying reigar adventurer passes the Cloak of the First Pilot to Teldin Moore of Krynn. 5044 (582 CY) (991) The Greyhawk Wars begin in the Flanaess. A Scro fleet of 75 mantis ships enters Greyspace and teams with the Borka Retribution Fleet. 5045 (583 CY) (992) The Cloakmaster, Teldin Moore, gains the Spelljammer and becomes her captain. 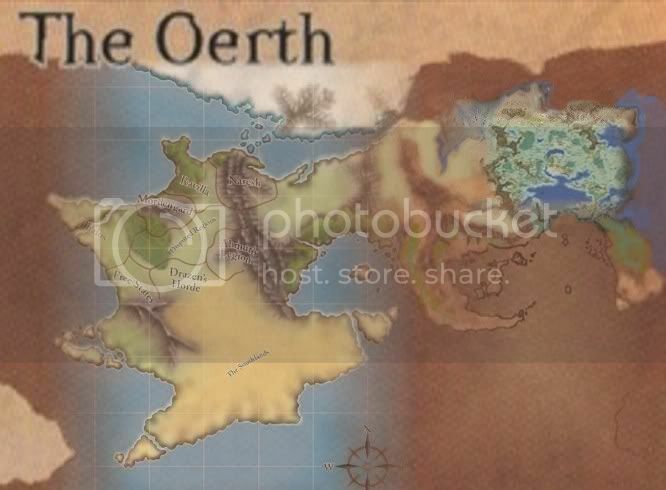 5046 (584 CY) (993) The Greyhawk Wars end on Oerth. Neogi lure seven Imperial Elven Navy vessels into the Grinder in Greyspace and destroy them. 5047 (585 CY) (994) Current year of the From the Ashes boxed set. Tuerny and Iggwilv attempt to open a gate to the lower planes on the moon Raenei (Return of the Eight). 5048 (586 CY) (995) Stratis is slain by a party of mortal adventurers. He scatters his weapons and armor across the world. Ahmut's corpse is pierced by Stratis's spear, he reanimates as an undead thing and allies with the Red Scythe. He begins to build an army of necromancers and undead followers. Several weeks after the death of Stratis, the half-fiendish gnoll Jangir discovers the Flail of Stratis and declares himself Priest-King of Naresh. Canon Hazen uses the Crook of Rao to drive demons out of the Flanaess. 5053 (591 CY) (1000) Current year in the Sundered Empire setting. Current year in the Living Greyhawk Gazetteer, Die Vecna Die! and year one of the Living Greyhawk campaign. I think the weapons and armor fell down right away and the last five years have been full of the armies of Western Oerik building up and beginning their wars. Jangir discovered Stratis's flail only a few weeks after Stratis's death, and I assume that the spear pierced Ahmut's corpse pretty much instantaneously (normal falling speed). Not all of the god of war's weapons and armor are accounted for, though, so perhaps some of them are orbiting in outer space. Sorry for replying so late to this thread ... I've come back to it several times, and haven't ever been able to figure out what exactly I wanted to say, and then -frankly- I forgot about the thread because I hadn't bookmarked it! So, the thing of it, is this: I'm confused. I don't really know which CY date you're using to line up the two calendars. I have years as being the same dates in my notes, but, when I compare them to yours, they don't translate to the Western Oerik calendar to the same dates you have. I based mine off of Cthulhudrew's work on this thread about the timeline. Mine are about the same for WO, up 'til about 698 and the end of the Elven Peace. ... then, by the time Ahmut rampages into Ravilla, it's different. I have 708, but, you have 699. I don't know about the Spelljammer references, or the other things like Greyspace or Krynn, but, I've looked at the timeline at spelljammer.org, but, haven't added any of the dates from other spheres to my timeline. I know this is specifically a Spelljammer thread, but, since it is about the Sundered Empire (and in the Chainmail sub-forum), do you think that you could help me figure out how the two different versions diverged? Since I'm one of the few enthusiastic fans of the Sundered Empire setting, I think it would kill me to think that I've had the timeline so screwed up in every post I've made in the last five years! Ummm... I sense this is not about the medieval warfare miniatures rules whose fantasy appendix birthed D&D? GMWestermeyer wrote: Ummm... I sense this is not about the medieval warfare miniatures rules whose fantasy appendix birthed D&D? Correct, it's about the 2002 miniatures-based wargame set in Western Oerik. Icarus wrote: So, the thing of it, is this: I'm confused. I don't really know which CY date you're using to line up the two calendars. 2. The present day corresponds to 591 CY (because Dragon #285 was published in July 2001 and every Greyhawk thing published in 2001 defaulted to 591 CY; this also seems to fit with the history of House Kilsek in Dragon #298, with the Priestess War occurring in 585 CY, then House Kilsek wandering the Underdark for a year before being transported to Western Oerik just prior to the death of Stratis "five years ago": 585+1+5=591, therefore 591 CY is the present day, plus or minus a few months. The CY year advanced by one year for every real year in 2001-2007, but the Sundered Empire year seemed to be stuck at "five years after the death of Stratis" in all of Chris Pramas's Dragon articles). 3. As of 591 CY, it's been exactly 1000 years since the Sundered Empire calendar began. It's got to be pretty close to that, anyway. For example, Dragon #287 has kobolds attack Thalos in 602, then writes that the present day is "four hundred years later." Dragon #286 has Ahmut invade Ravilla in 699 and die three years later; if he rose as an undead warlord 300 years after that it has to be approximately 1000 now, give or take a few years. I guess the current date could be 1002, but I assumed Chris Pramas would have intended to use a round number instead, since he could make the current year anything he wanted. It's possible that 592 CY=1002, in which case you'd have the convenience of the final digit matching on Sundered Empire and Common Year dates, but I don't know of a source that states that unambiguously. If that's the case, though, we'd have to adjust my above equivalence by three years, since I assumed 591 CY=1000. Dragon #286, page 88: "In 699, Ravilla was shocked to its core. A horde of horsemen appeared on its southeast border, and Stratis, the God of War, was spied among their ranks. As columns of horsemen poured into Ravilla, the elves first heard a name they would learn to fear: Ahmut." Sounds pretty definitive to me. Is there another source that has 708 instead? Icarus wrote: do you think that you could help me figure out how the two different versions diverged? You'll have to explain how you're arriving at your numbers, then we can compare methodologies. I don't claim any particular expertise in the setting, just what I gleaned from the Dragon Magazine articles. Actually, I see that Dragon #292 has Drazen invading the Sundered Empire in 1008, so it looks like I was wrong in my assumption that the current year was 1000 (and it isn't 1002 either). 1. Stratis's axe falls to Oerth. Drazen seizes it. 2. "Within two years," Drazen conquers all of the Southlands. 3. "Not long" after, Drazen begins a months-long trek to the Sundered Empire region, invading it in 1008. So if event #1 is five years ago/586 CY, then the invasion must have happened approximately 3 years ago/588 CY and therefore 588 CY=1008, give or take some months, and 1011=591 CY (and we get matching final digits after all, but a decade off from what I suggested in my previous post). Ah. Does interact with the old Dragon Annual map? Any online maps indicating how they relate? GMWestermeyer wrote: Ah. Does interact with the old Dragon Annual map? Any online maps indicating how they relate? Yes, and there are a number of them (just google "Oerth map"), though the compatibility isn't perfect so some fan interpretation is necessary to get them to mesh. The shape of the continent is the same for both Chainmail and the Dragon Annual #1 map, with the exception that what looks like a land bridge connecting Oerik and Hyperborea in the Dragon Annual #1 ("Gigantea") becomes an archipelago on the Chainmail map (indicating that the islands are probably connected by a seasonal ice bridge rather than a permanent land bridge). The main issue is that the Chainmail factions cover an enormous amount of area, overlapping some of the national boundaries depicted in the Dragon Annual #1. Here's the Dragon Annual #1 map. You can see the region marked "Elven Lands" in the Dragon Annual #1 becomes "Ravilla" in Chainmail. The unnamed island on the northwest corner of Oerik becomes Thalos in Chainmail, whose territory takes up part of what in the Dragon Annual #1 was the Empire of Lynn. The Empire of Lynn is completely absent from the Chainmail map, divided between Thalos, the Free States, Drazen's Horde, Ahmut's Legion, and the Disputed Region. The Dragon Annual #1's Kingdoms of the Marches become part of Chainmail's Ravilla. The nations to the south of Lynn are unlabeled on the Chainmail map, or grouped together as part of the arid Southlands. Fan fixes mostly involve giving the Chainmail factions a smaller slice of territory so that they have to share the map with places like Lynn and the Marcher kingdoms. There's a whole Chainmail subforum on the Piazza where you can read previous threads and post new questions. Some of those factions had more territory than the Great Kingdom. night_druid wrote: Some of those factions had more territory than the Great Kingdom. Yeah, they're huge. There's definitely room to shrink them down and still leave plenty of territory for the Dragon Annual #1 nations, and more aside. Shrinking all of Western Oerik down to something closer to the size of the Flanaess would probably be a good idea. The intersting thing about this is that anyone wanting to play in the original Spelljammer era would be dealing with a Sundered Empire that had not yet been shaken up by the events that occurred following the death of Stratis. So the interaction, at that point, might be radically different. I'm not sure how dominant Ravilla would be at that point. I can't quite see the point where the empire became the Sundered Empire. But I can imagine that the local branch of the Elven Navy would be aware of Ravilla and would have had attempts at diplomacy, at the very least. I don't know if the Free States were ever occupied by the Empire of Ravilla, but they look small enough (compared to some of the other giant kingdoms there) that they might be willing to trade with unusual ships that land at their seaports, with no questions asked. I had Icarus PM me yesterday night and he concurs with you that I've made a mistake there. That would mean that the weapons falling like meteors would be falling in sub-orbital paths. Do we have any evidence of Stratis, from older Greyhawk products? If Stratis was focused on Western Oerik, maybe nothing went outside that area. But if he had any sort of relationship with the natives on other worlds in the sphere, he might have had reason to throw a weapon at them. ripvanwormer wrote: Actually, I see that Dragon #292 has Drazen invading the Sundered Empire in 1008, so it looks like I was wrong in my assumption that the current year was 1000 (and it isn't 1002 either). Not that I have my calendar annotated, or could've figured out where I got the reference from, I believe that the God War did begin in 1008. You asked how I was arriving at my numbers ... it's basically not really referenced to canon sources. I was trying to do it all mathematically. And, obviously, I was worrying that I'd gotten my math wrong - because I tend to think that I'm not that good at mathematics. Generally, I think "a thousand years ago" is still pretty descriptive, and whether it's 1002, or 1008. And Dragon #285 refers to Ahmut's attack being "300 years ago", which again is a generality ... I don't know why I didn't have the precise date of 699 that you did. So, thank you *so* much for working out the numbers, and were it all came from, because it helps me know and understand where my numbers come from. Big Mac wrote: Do we have any evidence of Stratis, from older Greyhawk products? No, he was invented for the Chainmail/Sundered Empire setting. Big Mac wrote: The interesting thing about this is that anyone wanting to play in the original Spelljammer era would be dealing with a Sundered Empire that had not yet been shaken up by the events that occurred following the death of Stratis. So, sort of in conjunction with the part of this discussion in which Rasgon and I were discussing dates: with an established date of the beginning of the God War being 1008 (corresponding to 588CY) that puts Greyspace at about 999 (579CY). Which puts it smack in the middle of the Petty Wars (950 to 1005) in Western Oerik. Very little of import resulted pursuant to the Petty Wars, and it was just a period "characterized by constant border skirmishes between all the nations of the Sundered Empire". The Empire -by that point- was already fractured ... Thalos was seperate, and had a foothold by retaking Govis. But, Drazen's Horde hadn't shown up on the scene, yet. Jangir had been born,but I'm unsure whether he was the Priest-King of Naresh; he was 40 by then. Mordengard was already a socialist state and had deposed their King. Interestingly, the Petty Wars ended the same year as From the Ashes debuted (585 CY) (1005), immediately following the end of the Greyhawk Wars (584 CY) (1004). So, put another way, the Greyhawk Wars were during the Petty Wars. I think that they probably would, in fact trade with almost anyone that came there ... the "Free States" are essentially the area from which mercenary miniatures came from in the Chainmail game. They were the "Non-faction" Faction. Personally, IMC, since I believe the Dragon Annual map is detailed at the time of the Baklunish and Suel Empires (due to wording referring to them in the past), that means that the Empire of Lhynn is a nation name from the same period (the distant past). I place the city of Lhynn within the Free States, as one of the remaining independent cities there. (Which it would be geographically, anyway). In Mordengard, as I mentioned above, the People's State did (as you guessed) already exist. It would have been formed about 4942(480 CY) (900), if I have the math right. As I understand it, Stratis was written specifically for the Chainmail game, and didn't exist before that. Not that he didn't exist in-world before that. But, the retroactive continuity certainly doesn't contradict anything canon, so far as I know. But, no connections to the Flanaess, other than the fact that his mother and brothers are worshiped there. Icarus wrote: Personally, IMC, since I believe the Dragon Annual map is detailed at the time of the Baklunish and Suel Empires (due to wording referring to them in the past), that means that the Empire of Lhynn is a nation name from the same period (the distant past). I place the city of Lhynn within the Free States, as one of the remaining independent cities there. (Which it would be geographically, anyway). Note that Dungeon #124, page 85, says that Robilar is rumored to have been to Lynn, where he was granted honorary status in their Order of Dragonmasters. That adventure makes Lynn sound like more than a single city, since it's referred to as a "land." ripvanwormer wrote: Note that Dungeon #124, page 85, says that Robilar is rumored to have been to Lynn, where he was granted honorary status in their Order of Dragonmasters. That adventure makes Lynn sound like more than a single city, since it's referred to as a "land." Oh, sure, no doubt. It absolutely is more than a city. The capital of the Empire of Lhynn is the city of Lhynn, if one follows what there is about it from the Blackmoon Chronicles. The only question, really, is how long ago it was a continent-spanning Empire, and what there is of it left, and when. Personally, for my own interest, the city has it's own lands - similar in the way that the Domain of Greyhawk is it's own lands, or Dyvers. For me, the Free Cities are a conglomeration of City States, and smaller independent towns, and various sizes of non-national political entities. Some much larger than things found in the Bandit Kingdoms, for example, that could be considered lands in their own right. Although, there's also the possibility that "Dragonmasters of Lynn" is a title much like "Knight Protectors of the Great Kingdom". The place where Dragoriders reside canonically is in the mountains a bit away from the capital city of Lhynn, so, it might be that the meaning of it has changed now if, for example, the order of Dragonmasters are from Lynn but don't necessarily reside there anymore. ,shrug> It's all up in the air. There's nothing really detailing it, so, as much as I hate to say - it's technically in the realm of fanon, I s'pose.